Mankind being uniquely created from the image and likeness of God (Genesis 1:26-27) has a special value from the inside (Psalms 139:13-14). Mankind being created with the right to choose made an eternity altering decision. This decision put pressure on the spirit value inborn on the inside establishing a separation from God and internal and interpersonal conflicts. Creation Therapy is a Biblical Counseling format that focuses on re-establishing a relationship with God and peace within oneself. Creation Therapy uses conflict resolution skills focusing on the Word of God and His principles for emotional and spiritual healing. 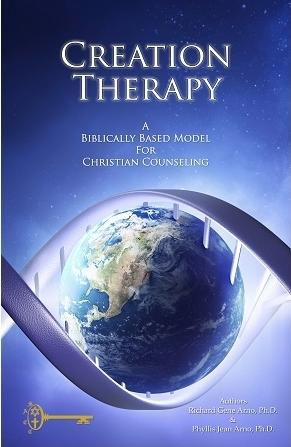 Research indicates that Creation Therapy is over 93% successful when administered by a trained and qualified counselor. Creation Therapy is a theory people are born with a temperament or the inborn part of man that determines how he/she reacts to people, places and things. This inborn part of man is how people interact with their environment and the world around them. temperament is placed within us by God, while in our mother’s womb – Psalms 139:13-14.
temperament is the determining factor in how well we handle stresses and pressures of life. temperament can be identified and a balance through the Spirit of God can relieve inner stress. how to develop a willingness to surrender the ungodly ways they have been accustomed to meeting temperament needs and replace them with methods in accordance with God’s Word. individuals will learn to find peace within themselves, with their surrounding and with the Lord. We know that God is the only solution for all our problems. Creation Therapy emphasizes the importance of yielding to God’s will, teaching how to draw nearer to God and how to submit to His will, allowing the Holy Spirit to become a constant guide. Creation Therapy can be taken as an extended educational course or taught in small group, church, or in-home based settings. For further information please contact DayStar Ministries. Schedule your Creation Therapy Seminar!